Bunions can be very troublesome if they are not treated correctly. If you are having problems with your bunions contact one of our podiatrists from ETL Podiatry. Our doctors will treat your foot and ankle needs. Regardless of season or weather, everyday foot care should be practiced year round. For more information about everyday foot care, contact one of our podiatrists from ETL Podiatry. Our doctors will treat your foot and ankle needs. Ingrown toenails can be an easy fix if treated properly. If you are suffering from an ingrown toenail, contact one of our podiatrists from ETL Podiatry. Our doctors will treat your foot and ankle needs. Morton’s neuroma can be a difficult condition to contend with. If you are experiencing symptoms of Morton’s Neuroma, contact one of our podiatrists from ETL Podiatry. Our doctors will treat your foot and ankle needs. Running injuries, even with proper precautions, can still occur in many runners. 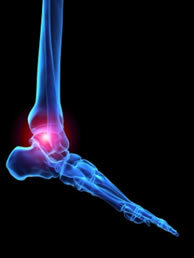 If you are suffering from a running injury, contact one of our podiatrists from ETL Podiatry. Our doctors will treat your foot and ankle needs. Plantar fasciitis can be very painful and inconvenient. If you are experiencing heel pain or symptoms of plantar fasciitis, contact one of our podiatrists from ETL Podiatry. Our doctors will treat your foot and ankle needs. Gout is a foot condition that requires certain treatment and care. If you have any concerns regarding gout, contact one of our podiatrists from ETL Podiatry. Our doctors will treat your foot and ankle needs. Arthritis can be a difficult condition to live with. If you are seeking treatment, contact one of our podiatrists from ETL Podiatry. Our doctors will treat your foot and ankle needs.